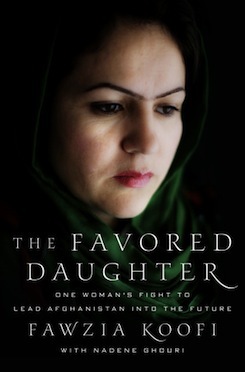 In the vein of Infidel comes this spellbinding memoir of survival and courage from Afghanistan's most popular female politician. On the day Fawzia Koofi was born, her mother set her under the blazing Afghanistan sun to die. The nineteenth child of twenty-three in a family with seven wives, her mother did not want another daughter. Despite severe burns that lasted into her teenage years, Koofi survived and became the favourite child. In Letters to My Daughters, Koofi tells her remarkable life story, one marked by a fierce passion to better the world around her. Koofi's father was an incorruptible politician strongly attached to Afghan tradition. When he was murdered by the mujahideen, her illiterate mother decided to send the ten-year-old girl to school, and as the civil war raged, Koofi dodged bullets and snipers to attend class, determined to be the first person in her family to receive an education. Koofi went on to marry a man she loved and they had two cherished daughters, Shohra and Shaharzad. Tragically, the arrival of the Taliban spelled an end to her freedom. Outraged and deeply saddened by the injustice she saw around her, and by the tainting of her Islamic faith, she discovered politics herself. Koofi opens each chapter with a letter she has written to her two daughters in which she passes on her wisdom about justice and dignity, not knowing whether she will survive to see them again. In writing Letters to My Daughters, Koofi has created a fresh take on Afghanistan society and Islam, and a gripping account of a life lived under the most harrowing of circumstances.
" Letters to my Daughters, is an amazing and heartbreaking story of one woman’s journey through her life in Afghanistan, the home country she loves." "Letters to my Daughters is one of those books that deserves its own section in the bookstore." " If you want to know what life has been like for women in Afghanistan, and what it could be like, Letters to My Daughter is a must-read...A powerful and moving book, not just for Koofi’s daughters, but for all the daughters of the world. And it wouldn’t hurt the sons to have a look, either." " In her memoir, written with journalist Nadene Ghouri, Koofi chronicles her life from the time she was put out in the sun to die after her birth to her current place as one of the most respected people in Afghan politics. The narrative, simple but poetic at times, shows readers the long struggle against brutalities and injustice that she -- and most Afghan women of her generation -- have endured." "This is precisely what it's like to be a girl and then a woman in Afghanistan. Fawzia Koofi is feisty, outspoken, popular and progressive but as this heart-wrenching autobiography shows she is the recipient of all the brickbats her country throws at those who dare to be different. Letters to My Daughters is a page turner as it teases the reader to find out how Fawzia Koofi not only survived but is poised to beat the system." " Fawzia Koofi's testament of love for her mother, her daughters, her husband and her country is a book you will not be able to put down until you're finished the final page." " Fawzia Koofi's voice comes to us as a powerful and moving reminder that in the midst of Afghanistan's decades of struggle, hope and humanity prevail. Letters to my Daughters is a compulsively good read." " This poignant, inspiring life story makes it hard to ignore the force for change Koofi represents, and it gives one hope in spite of the ongoing challenges facing Afghanistan. She is the face of what her country is struggling to be -- a place where a woman who was once banned from school can now run for president." 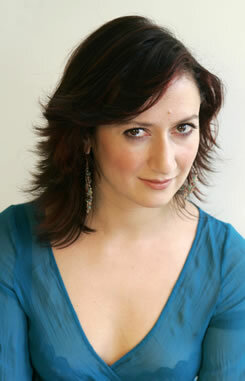 "This gripping memoir… Letters to My Daughters, cowritten by BBC journalist Nadene Ghouri, is packed with drama (and humour) that helps bring alive the reality of Afghanistan. "